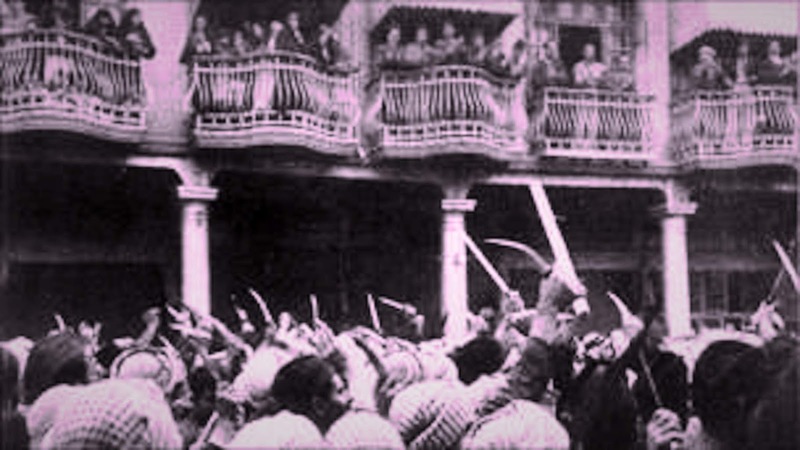 "It was Iraq's Kristallnacht," says Edwin Black on the Farhud: the Holocaust-era pogrom against Baghdad's Jews on Shavuot of 1941, 77-years ago. Haj Amin al-Husseini greets Bosnian Waffen-SS volunteers with a Nazi salute, November 1943. "Farhud means violent dispossession. The Farhud was the first bloody step along the tormented path to the ultimate expulsion of hundreds of thousands of Jews from across the Arab world. 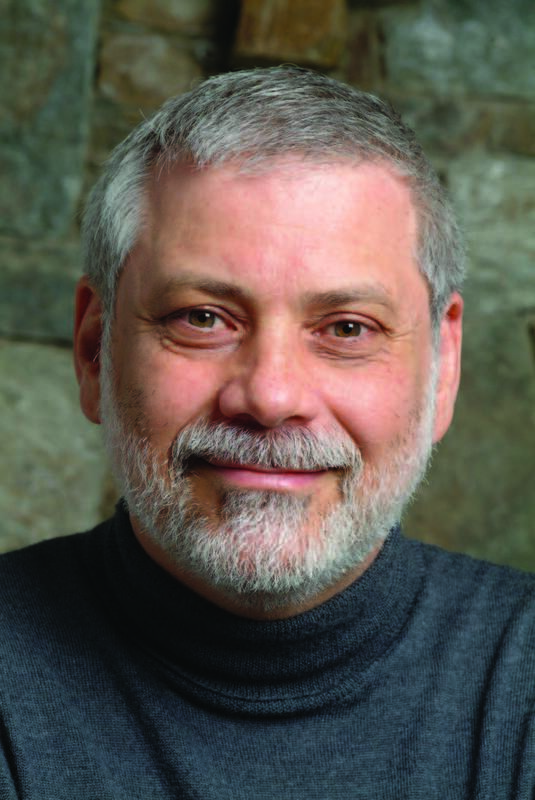 That systematic expulsion ended centuries of Jewish existence and stature in those lands." Jews had thrived in Iraq for 2,700 years, a thousand years before Mohammad. 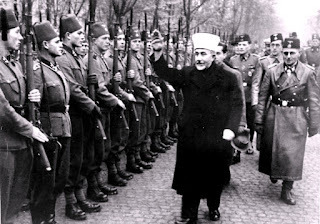 But all that came to end when the Mufti of Jerusalem, Haj Amin al-Husseini, led the broad Arab-Nazi alliance in the Holocaust that produced a military, economic, political, and ideological common cause with Hitler. 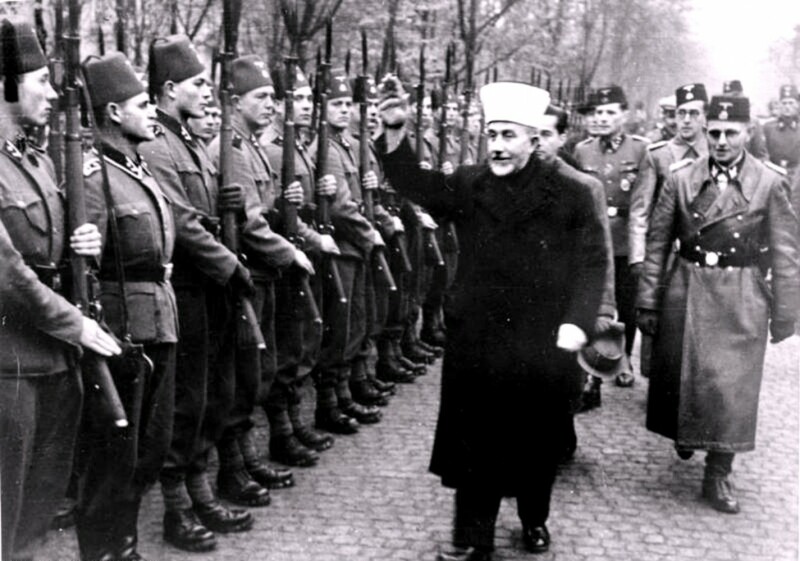 Although Husseini spearheaded an international pro-Nazi, anti-Jewish Islamic movement from India to Central Europe to the Middle East, it was in Baghdad—a 1,000-kilometer drive from Jerusalem— that he launched his robust coordination with the Third Reich. The Arabs, led by Husseini, wanted the Jews out of Palestine and Europe’s persecuted Jews kept away from the Middle East. Indeed, Husseini persuasively argued to Hitler that Jews should not be expelled to Palestine but rather to “Poland,” where “they will be under active control.” Translation: Send Jews to the concentration camps. Husseini had visited concentration camps, where he had been hosted by the architect of the genocide, Heinrich Himmler. The Mufti considered Shoah engineer Adolf Eichmann not only a great friend, but a “diamond” among men. Iraqi-Jewish refugee, Joseph Samuels recounts how the Nazi connection with the Muslim leaders turned Muslims violently against their neighbors. But Jews like Joe had nowhere to safely flee to until Palestine, beginning 1947. He tells how he migrated to Israel and ultimately to America. Iraqi Muslima dentist apologizes for Farhud against Jews, searches for former neighbors. Dr. Bushra Qader, a dentist, living in Dearborn, Michigan was jailed and tortured under Saddam Hussein's regime for speaking truths. She tells the story of her family's Jewish neighbors, whom Muslim leaders expelled for not converting to Islam- and one who did.